Cardington High School Class of 1963 met at the Cardington-Lincoln High School Alumni party to celebrate its 55th graduation anniversary. Seated, from left: Lois Beveridge Shuler, Maxine Edgell Packer, Barbara Pecko Weise and Barbara Schwartz Cooper. Back row: Carmen Dennis Bagley, Ruth Bingman, Jim Ullom and Judy Morris Johnson. 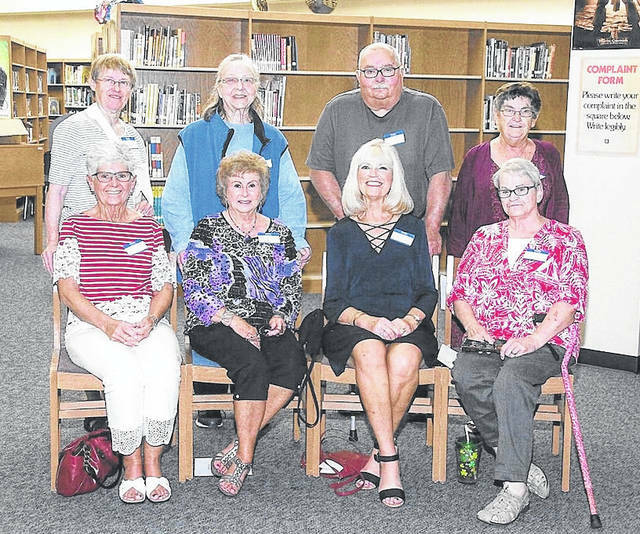 https://www.morrowcountysentinel.com/wp-content/uploads/sites/29/2018/07/web1_Class-of-1963-001.jpgCardington High School Class of 1963 met at the Cardington-Lincoln High School Alumni party to celebrate its 55th graduation anniversary. Seated, from left: Lois Beveridge Shuler, Maxine Edgell Packer, Barbara Pecko Weise and Barbara Schwartz Cooper. Back row: Carmen Dennis Bagley, Ruth Bingman, Jim Ullom and Judy Morris Johnson.